Probably it’s the sign of the summer lull – a Swiss online magazine started running a series of articles focused on the origins and meaning of tattoos. 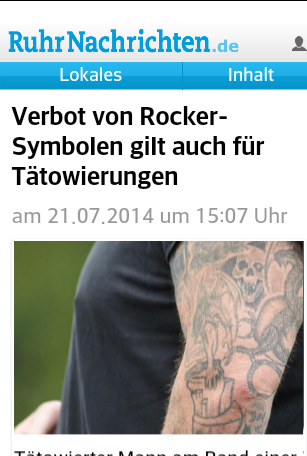 In some parts of Germany Hell’s Angels and Los Basndidos’ tattoos can’t be shown in public and they must be covered by clothing or band aids. Also from Germany a short and uninteresting (but it’s all for the recording’s sake) article about ear stretching (and I want to order some new eyelets from Wildcat, based in Germany, of course!). Berlin-based artist Chaim Machlev is an amazing artist! From Bastian a nice article on body suspension! 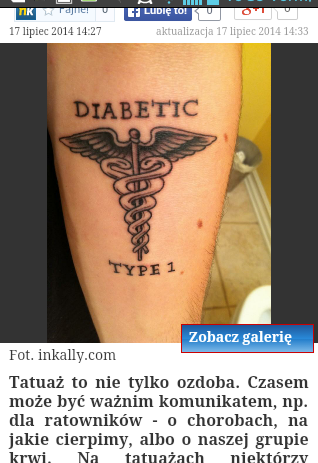 Medical tattoos – they may seem a good idea and yet they have stirred some controversy! Coincidentally, there was also something on this subject in the Polish news coverage. The tattoo scene in Denmark isn’t very well-known, so I read this article with quite an interest. Apparently, acc. To the Danish law, there are some placements that are illegal to cover with tattoos but now there’s growing demand for such tattoos. Temporary tattoos and good books – two in one! 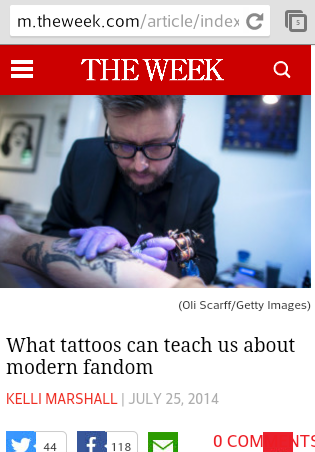 Finally, good to read, interesting and dealing with pop culture – tattoos and fandom!